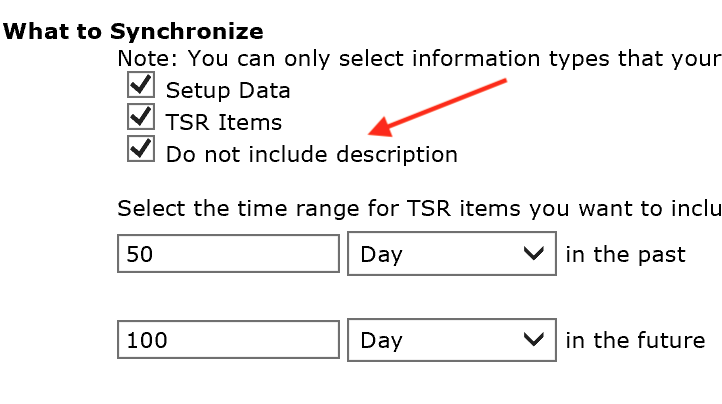 In some cases you may not want to synchronize the description field of your time entries. You enable this function by going to either WebAdmin > User settings or via Outlook Add-Ins > TSR > Settings. You may need to restart your Outlook and make sure that the settings are synchronized. Also make sure that you’re running a TSR Outlook User Agent version supporting this feature. Then the description will not be synchronized and it will be greyed out in WebAdmin.